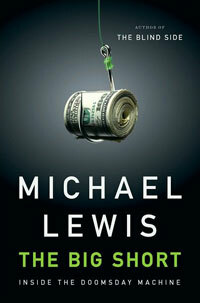 Michael Lewis's offers a new, lucid account of some very muddy waters. If my recall is correct, I have only spoken to Michael Lewis (Moneyball, The Blind Side) twice. It seems like moreprobably because his books and his journalism (New York Times Magazine or Vanity Fair) are so engaging they seem like natural extensions of our conversations. And given the decent (tear-eliciting) filmic realization of the truly remarkable story he told about Michael Oher in The Blind Side, I am tempted to assume that Lewis needs little or no introduction. I have already, in other places, effused on my high regard both for Lewis’s unerring sense of story, his investigative skills, and clear, concise reportorial prose. But why take my word for it. Read his lively account of his experience (immediately after graduating from Princeton) with Wall Street as the current debacle was just making it into the news cycle.